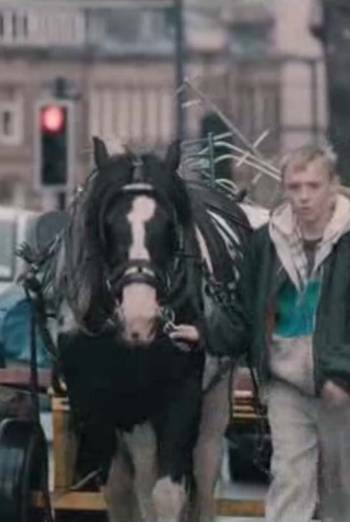 THE SELFISH GIANT is a contemporary drama about two boys who get caught up in the illegal world of metal theft. There are over seventy uses of strong language ('f**k' and variants) and one use of very strong language ('c**t') which is used by a young boy as a term of endearment to his younger best friend. There are also uses of discriminatory language ('spaz', 'retard' and 'pikey') which are not condoned. The film also contains a brief image of charred human remains, scenes of moderate violence without detail and one scene of threat to a child. There are also passing drug references ('smackhead', 'spooning'), sight of adults smoking and children drinking alcohol. Some scenes show children involved in potentially dangerous activities but the consequences of such behaviour are made clear.